Plain | Officina In s.r.l. Designed to create a structure which is adaptable to the most diverse locations and uses, Plain is an object of light and refined beauty. 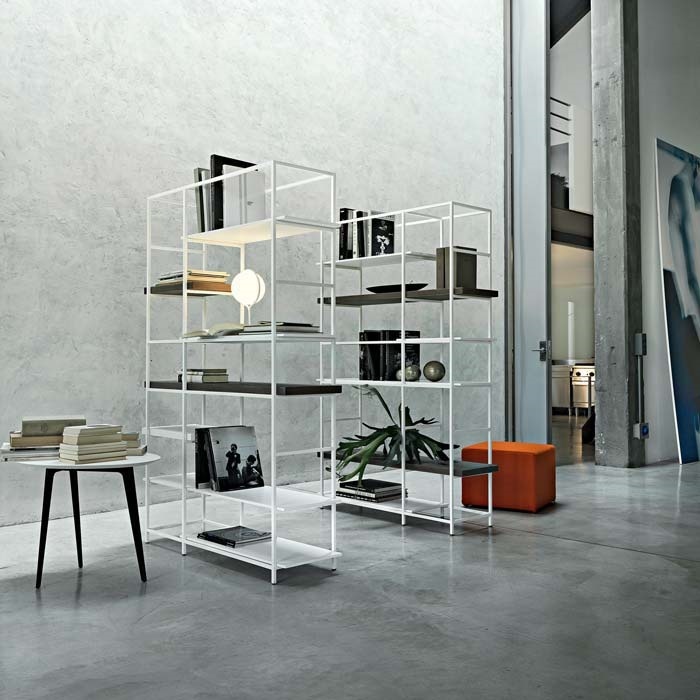 With its white or black lacquered steel square tubing, it accommodates shelves of two thicknesses and various lengths which are lacquered in the Lemacolortrend colours.